The Countdown to Northern Colorado’s Coolest Festival Begins! All Posts » The Countdown to Northern Colorado’s Coolest Festival Begins! If haven’t heard of the Breathe Yoga Festival, you’re missing out. The festival is the ideal kick-off to summer charged with live music and the area’s best yoga teachers to share their classes, workshops and more with the community. You can also browse booths from local artists, artisans and musicians at the festival’s Vendor Marketplace that's open to the public at no cost. The annual Breathe Yoga Festival will take place from 3 p.m. - 6 p.m. on June 24 and from 9 a.m. - 6 p.m. on June 25 and 26 at City Park in Fort Collins. Erin Doty’s passion for holistic wellness, yoga, self-awareness, and gemstones allowed her to embrace and peel back the layers of chronic Lyme disease. In 2011, she dedicated herself to a daily yoga practice, which transformed her limited mobility and 85 pounds of excess physical and mental weight into the vibrant embodiment of positive energy she continues to be. Erin attained a Hatha RYT200 and Self-Awareness certification from Anna Pittman, at The Breathing Space in Blacksburg, Virginia. As well, a Yoga Warriors International (YWI) certification from Dharma Richards. As a YWI teacher, Erin has the honor of sharing yoga with active and retired military, families and caregivers, personnel, first responders, amputees, persons affected by PTS (Post Traumatic Stress) & COSR (Combat Operational Stress Response), DBI (Diagnosed Brain Injury), and trauma. Erin offers an inspirational and insightful connection to living fearlessly with ease. Authenticity, joy, and positive essence make her events fun, inviting, and relaxing for everyone! A Colorado State University alum with 22 years of knowledge and work experience in the holistic wellness industry, Erin is a proficient holistic wellness consultant, holistic events and workshops promotions organizer, public speaker, editor, and writer. In addition, she is a certified TAOMCHI Crystal Laying-on-of-Stones Practitioner and gemstone jewelry designer. Erin owns HK HIGH KICKS. “Where heaven & earth commune at the heart.” Yoga || Gemstones || Gemstone Jewelry || Gemstone Arrays. Connect with HK! Residing in Blacksburg, Virginia, Erin travels around the US to teach yoga and special events. She delights in sharing the gifts of peace, transformation, presence, self-awareness, and unity that yoga and wellness offers to everyone! 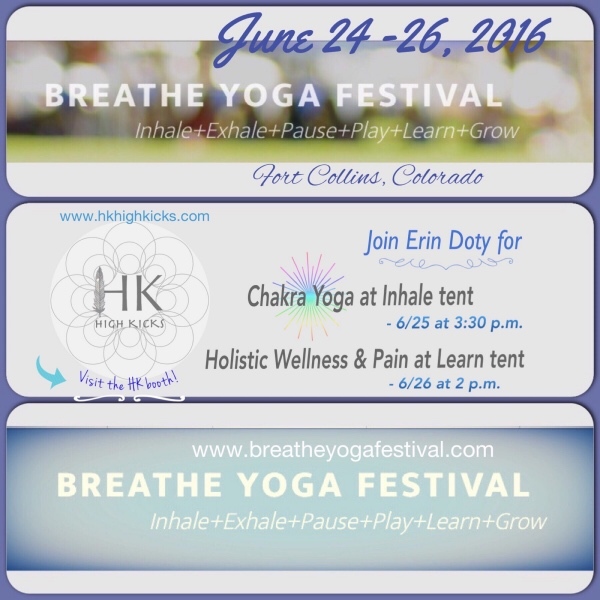 Giddy to take HK on the road to Colorado, Erin is excited to be a part of the Breathe Yoga Festival! for her talk on Chronic Pain at the LEARN tent. You can purchase your tickets for Breathe Yoga Festival here. 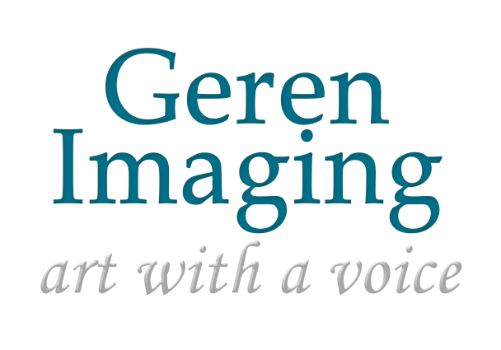 Join our email newsletter & get articles on local places & faces, photography tips, trips & more!